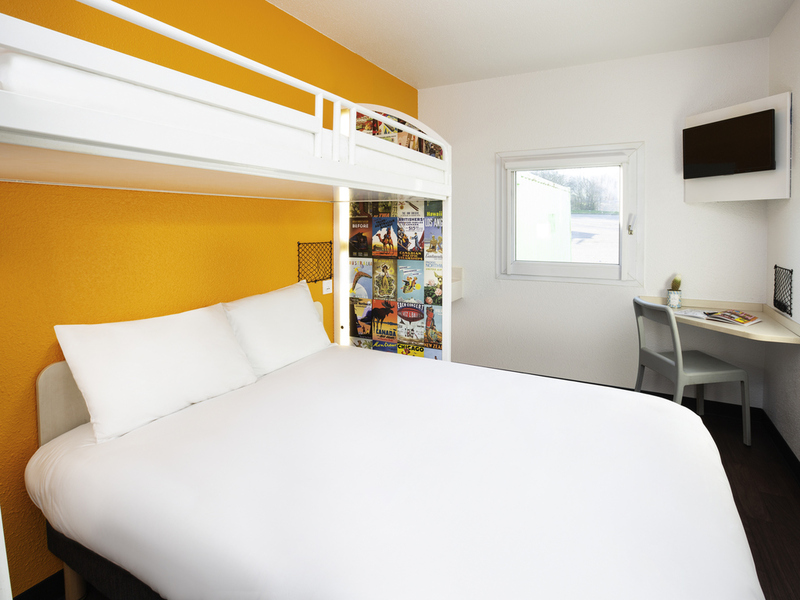 hotelF1, new generation of low-cost hotels in France, offers budget rooms. Fully refurbished, our hotel has DUO rooms for business and leisure stays and includes free WIFI access. There is an extremely spacious shower and bathroom area outside the rooms. All-you-can-eat breakfast buffet. Large free parking.